Experience in the hospitality industry with a history of success. Articulate, well spoken, and professional. Goal-oriented, passionate, motivated, proven track record of success and focused on the future. Active or Passive as a job seeker. Note: a passive job seeker is an individual who is not actively looking for a new position, but is potentially open to new opportunities. We encourage you to start a profile and load your resume into it using our confidential online candidate management system. Whether you are currently employed or have been out of work for longer than expected, we will maintain the utmost confidentiality. We will not share your information or market your resume to any client without your authorization. 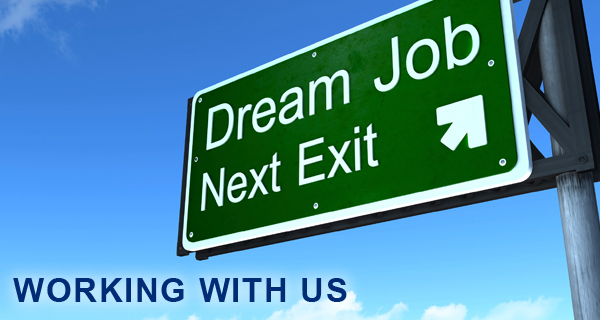 Your resume will be available to our entire team for review against current openings. If we see a fit, now or in the future, we will contact you. If you see an opportunity posted on our job board, feel free to login to your profile and apply to be considered for the opening. We will always respond by email or by phone to these applications made via our online system. If you are selected as a potential candidate for one of our opportunities, we will forward you a pre-interview questionnaire to complete. Our pre-interview questionnaire includes in depth questions about your career goals, skill sets, and accomplishments. After we receive your questionnaire back along with your references, we will contact you to setup a screening interview with a member of the OpenDoor team. After your screening interview, we will advise you if we plan to submit you to our client. If so, we will share with you detail about our client and their specific needs. If not, we will be candid and explain why we feel you are not a solid match for this particular position or client. If you are selected to be presented we will prepare a custom presentation for our client about you. Some of the responses from the general questions from your pre-interview questionnaire will be shared as an additional method of marketing you as a candidate to our client. If you are selected by our client for an interview, we will guide you through what to expect during your interview. We will coach and counsel you through your interactions, hopefully leading to an offer and acceptance of a new opportunity for you. We commit to you that we will always provide timely and candid feedback. We expect the same from you as a candidate. If you’ve never worked with a consultant, you are going to love our experience. We always help negotiate win-win scenarios. We take all of the elements of an opportunity into consideration and make the process of evaluating and accepting an offer painless for both you and the client. Sometimes it is challenging to start a new job. We understand, our mission is to help you positively transition into your new role and to embrace the company culture as quickly as possible.